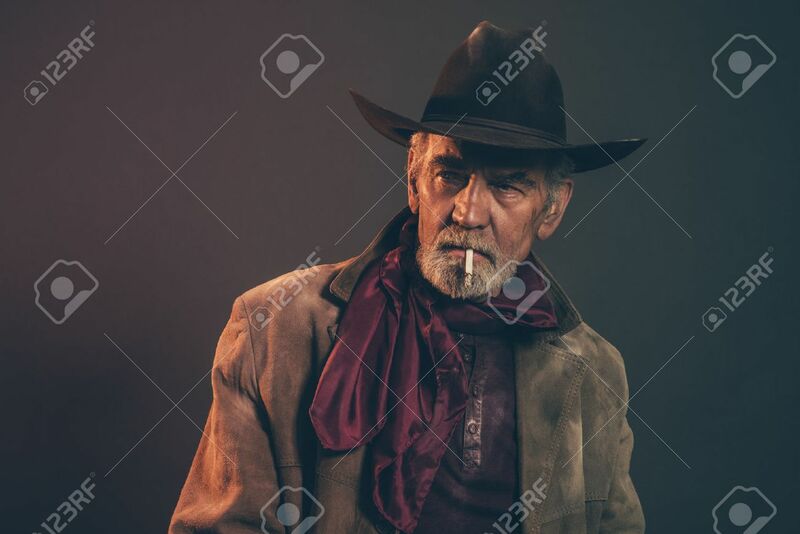 Old Rough Western Cowboy With Gray Beard And Brown Hat Smoking.. Stock Photo, Picture And Royalty Free Image. Image 32954783. Stock Photo - Old rough western cowboy with gray beard and brown hat smoking a cigarette. Low key studio shot. Old rough western cowboy with gray beard and brown hat smoking a cigarette. Low key studio shot.